The quickest way that makes carpet dirty is when people trod on them with the footwear that they use outside home as well. You are practically bringing all the dust and dirt inside your house, especially on your carpets. Hence, the first step in cleaning the carpet is to avoid it getting dirty. Vacuum cleaning for the carpets is a must to remove all the dust particles that have gone into the deeper layers of the carpets, mostly those plush ones that are thick with multiple layers. However, when you use the vacuum cleaner, you need to ensure that it is the right vacuum cleaner that can take out the dust even from the deepest layers of the carpet. In a house where there are kids, carpets get dirty easily with food particles and other stains. 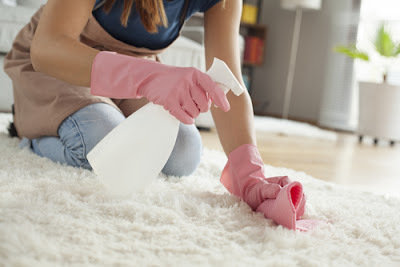 Make sure that these stains are attended to immediately, for if you let them settle on the carpet, it will get absorbed and will be even more difficult to remove. Also, while removing the stain, use a cotton cloth and keep it over the stain and remove it with a liquid cleaner. Never rub the area for then the stain will spread and thus spoil your precious carpet. 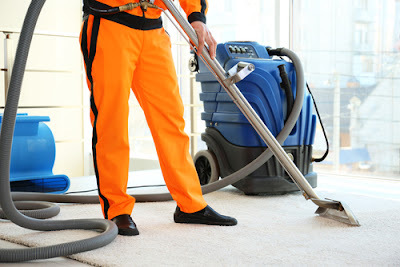 Today there are different products available in the market to clean the carpets. You need to research properly before you purchase one for your carpets, as the wrong product can spoil your carpet completely. Make sure that the cleaner has been approved by the authority of the area and has been recommended by the carpet sellers. Different types of carpets have different cleaning instructions. For ensuring the extended life of the carpets, it is better to follow what the manufacturers have recommended in the case of cleaning the carpet. In the case of the type of cleaners used or the frequency of the vacuum cleaning, do as given in the instruction list for taking care of the carpet. The difference can be made all by this one rule in the profession of one’s rug. Good intentions-we will ensure the zero shoes rule on a regular basis too often, we start. But inactivity will occur, and before you know it, many people are walking on your nice clean carpet with their nice, grimy shoes. Their simple enforce the number shoe rule at all times, and your carpet will remain solution forever. Another common sense rule, however important, is just a rule. Naturally, this concept is tougher to apply when you have children but do your best. Food and drinks, along with animals, are your carpets worst nightmare. This will increase the life of the carpet and restore it to its original beauty. When you shampoo your carpet, you probably use a standard shampoo that you like. It's important to shampoo the carpet properly in order to get it truly clean. After using the recommended amount of cleaner for your shampooer, you run through the entire room, cleaning. Then, you should dump your dirty water and refill it with clean water. It is important to go back over the carpet with clean water in the shampooer in order to rinse the cleaner out of the carpet. If you don't, the carpet will attract dirt from shoes and other places. Rinsing the carpet with water is a great way to keep the carpet clean after shampooing it. The machine at least once per week, but preferably more. This keeps dirt and dust from gathering and has the additional advantage of keeping dust allergies away. Be sure your machine beneath your furniture as well. For most stains, this will knock them out immediately. However, some stubborn stains may linger, so flood the area again with water and blot it out. This is a great way of removing stains before they are set-in, and this will keep your carpet beautiful for a long time. Water cleaning your carpets is a great way to ensure their longevity. Retain experts or rent a steam cleaner every 4-6 weeks, concerning the state of your carpet. Look around if you’re worried about price because price ranges can differ dramatically for the same company. 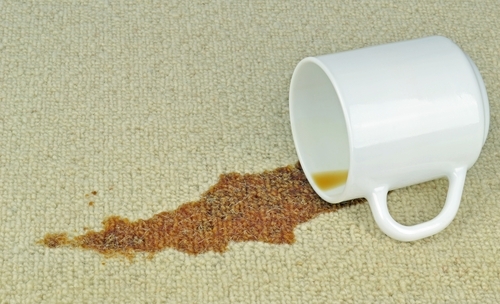 Clean up stains immediately the carpet get dirt; the longer you let them stay, the longer they have to soak in. Blot at the stain with soap like a dish detergent (Dawn and Joy are good), but never wash. Scrubbing a stain can cause it to use and spread the materials of one’s rug. Besides delicate soaps, vinegar and club soft drink also work very well. A failure these procedures or for darker spots like juice, dog accidents or wine, sprinkle salt or baking soda on the stain, allow stain soak in, and vacuum it up. Never use heat to dry a stain; it seals the stain into your carpet. By then it might have got so dirty that you might have to call the carpet cleaning professionals to get the cleaning done. Following the above mentioned simple carpet cleaning tips can let you keep the carpet for a long time just as good as new. Keeping your carpet clean is the easiest method to make sure its longevity and beauty. Handle it well, and it should last you several years (and guests!) in the future.